This is a small school assembly for Dia de los muertos. 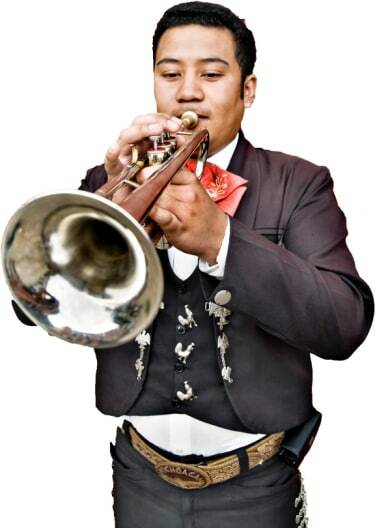 Children will sing 2 songs with Mariachi band, and Mariachi band can perform 1-2 songs solo. Arriving on the music scene in the late 19th century, Mariachi Bands brought an upbeat yet traditional sound to Mexican culture. With a blend of guitars, violins, trumpets, the guitarron, and the vihuela, Mariachi music can truly liven up a party! The upbeat authentic Mexican folk music is the perfect accompaniment for wedding receptions, Cinco de Mayo parties, and so much more. Search for Mariachi Bands in Harlem, New York above. Please note that these Mariachi Bands may also travel to Edgewater, Fairview, Guttenberg, Ridgefield, Long Island City, Leonia, Long Island City, Weehawken, Sunnyside, Woodside, Englewood Cliffs, Ridgefield Park, East Elmhurst, Jackson Heights, Little Ferry, College Point, Greenpoint, Moonachie, Bogota, South Hackensack, Corona, Maspeth, Teterboro, Rego Park, Middle Village, Whitestone, Hasbrouck Heights, Ridgewood, Wood-Ridge, and Wood Ridge.